Large ocean front balcony with plenty of seating. A great place to spend the afternoon daydreaming. 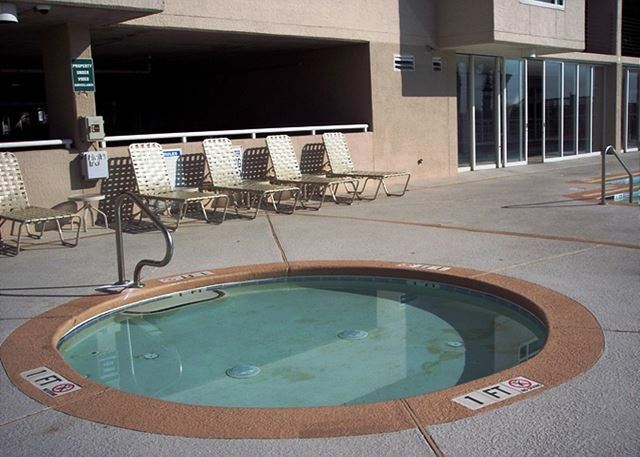 Kiddie pool for the little ones! Relax in the lazy river with floats. 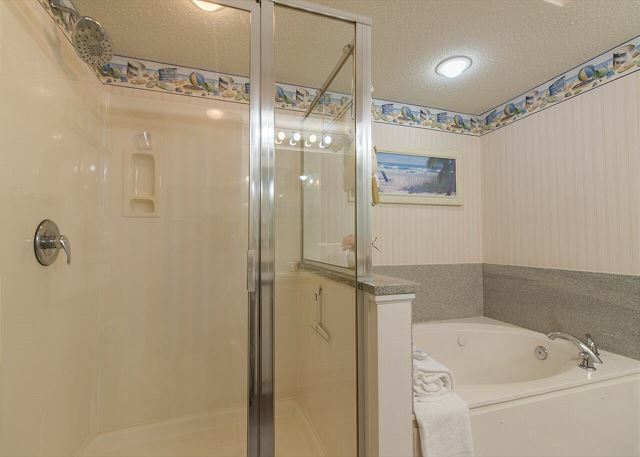 Your reservation at this property includes all bed and bath linens and departure cleaning. 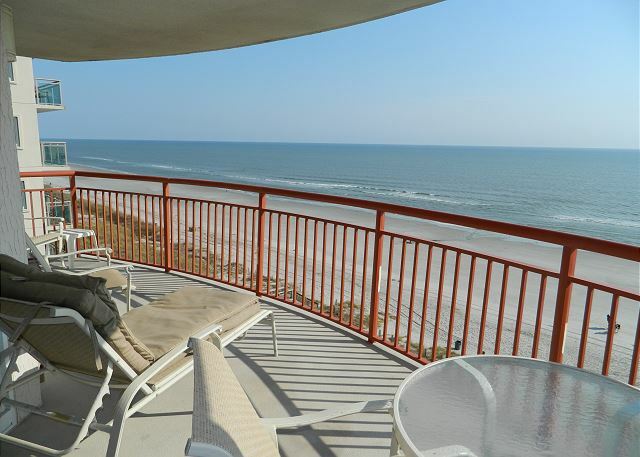 This oceanfront 7th floor end unit offers lots of light and spectacular views. 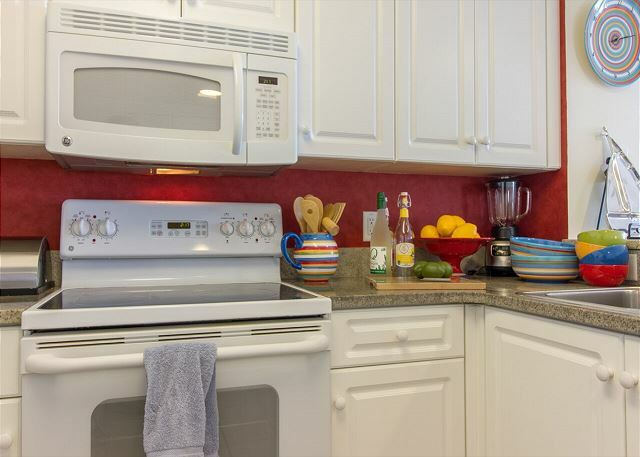 The condo is spacious and relaxing and offers free Wi-Fi, full sized appliances including a washer & dryer as well as a fully equipped kitchen. 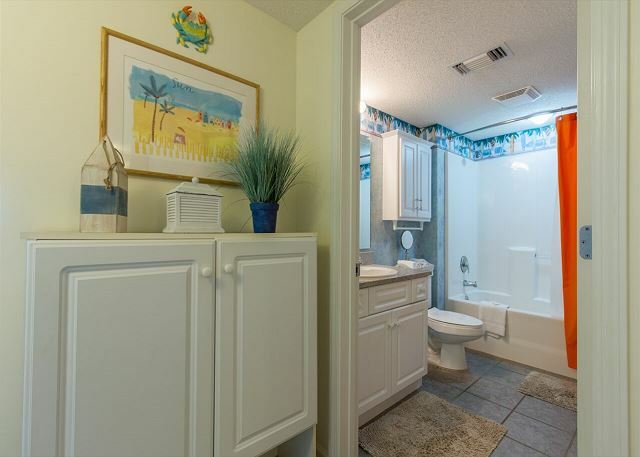 Conveniently located this 4 bedroom is clean & comfortable and will book quickly! Please call us for more information. 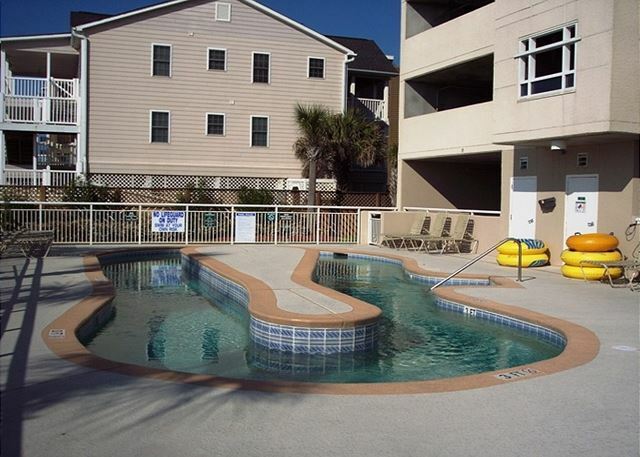 Owner Direct Vacation Rentals in North Myrtle Beach welcomes you to your home away from home! ODVR SC is a local, family owned and operated rental agency - Smiling Faces and Beautiful Places - We want to welcome you to your best vacation rental ever!!! 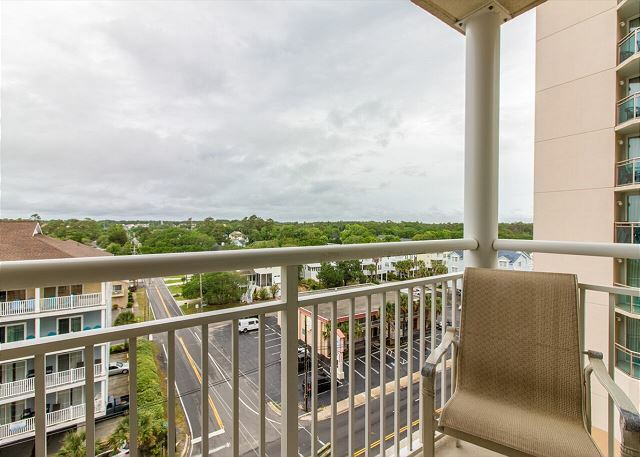 HIGHLIGHTS: This beautiful seaside retreat offers an oversized oceanfront balcony and a smaller balcony overlooking Ocean Blvd. 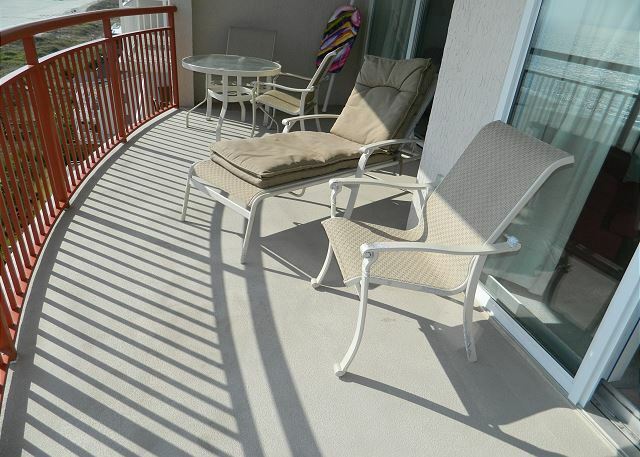 Located on the 7th floor this end unit offers amazing views of the beach and ocean for miles and miles! The bathrooms and kitchen have beautiful granite throughout. 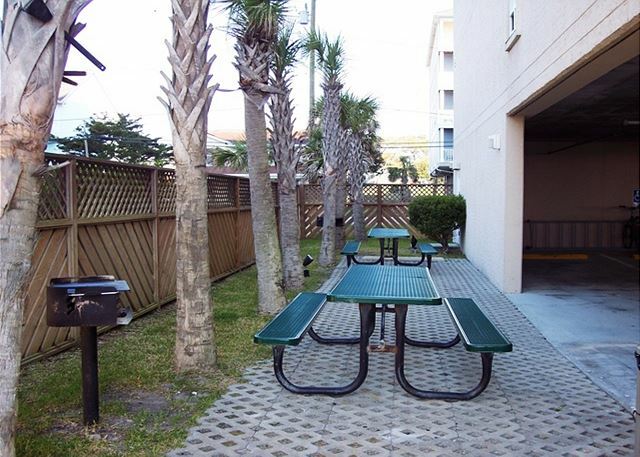 There is a grilling & picnic area to enjoy a beachside barbecue and direct access to the beach. 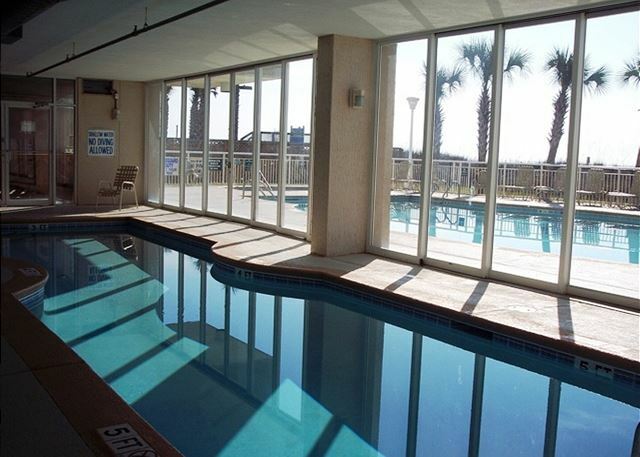 AMENITIES: South Shore Villas offers an indoor & outdoor pool, lazy river, hot tub and gym. Come enjoy these great features at a beautifully landscaped property. BEACH ACCESS: A short walk over the dunes and your feet are in the sand. 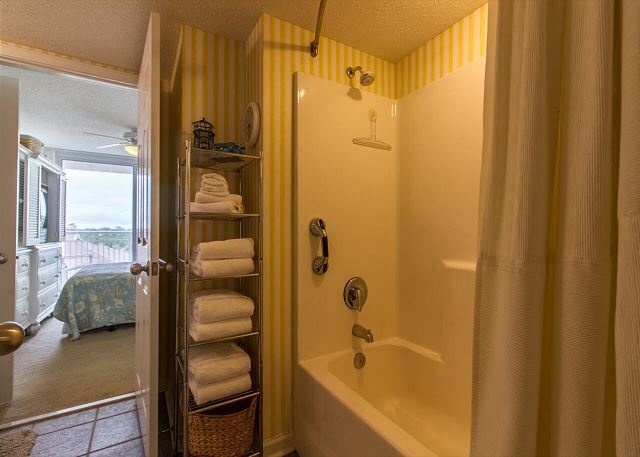 This walkway also has outdoor showers to rinse off after a day of play on the Ocean. OUT AND ABOUT: South Shore Villas, is centrally located to Main St in North Myrtle, where kiddie rides are open, seasonally. There are ice cream stores, beach stores, seafood restaurants, pizza and some great dance clubs. Flynn's Irish Pub is also a favorite, and Hoskins offers home-cooked breakfasts & dinners. A little further south is Molly Darcy's Irish Pub, with authentic Irish cuisine, oceanfront deck dining, volley ball, and is also a great sports bar. 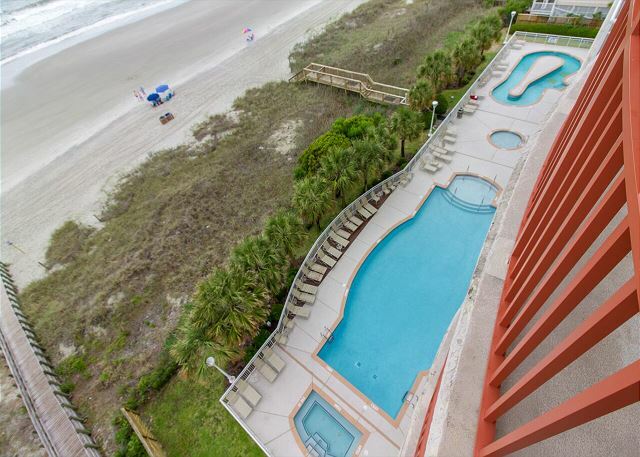 We hope to be able to welcome you to North Myrtle Beach and a Luxury Vacation soon! Thank you for providing us with a nice review about this condo. 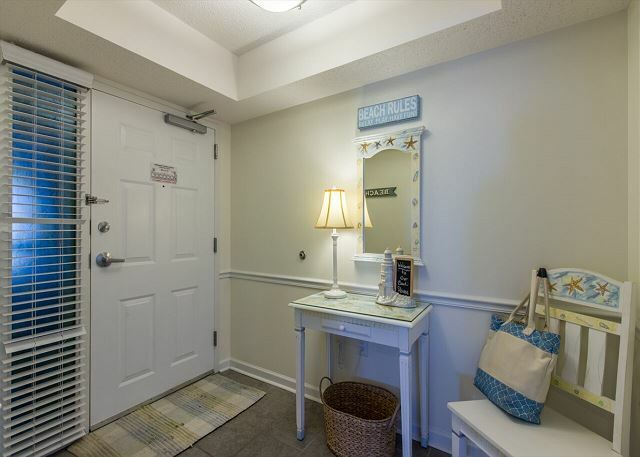 When you stay at one of our condos, our ODVR property management staff is always just a phone call away and glad to assist to make your stay a more positive experience. This condo is one of the finest that we represent and the owner will be delighted that you found it to be a "good choice" for your vacation. The South Shore complex is smaller, so it makes vacation just a little more enjoyable when pools and elevators are not too crowded. 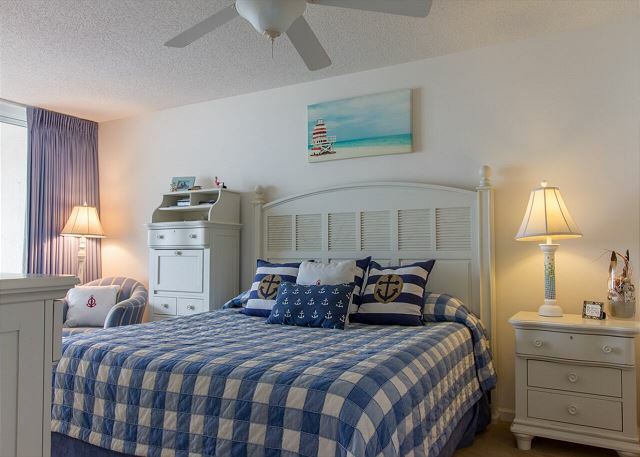 The decor is an updated comfortable beach retreat that gives you the feeling of being home away from home, but with an ocean view that adds the WOW factor. Thank you again for sharing the good news about your stay. We welcome you back for the next beach getaway. Thank you for leaving a great review about this South Shore Villas condo. The owner has done a remarkable job to offer guests a beach escape that feels 5 star. 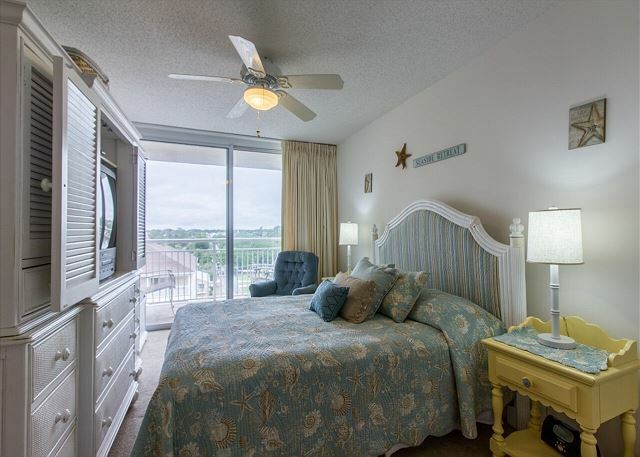 The accommodations are roomy, coastal chic, family friendly and the fantastic views are complimentary with your stay! Groups can plan for evening meals around the large dining table or dine alfresco on the wonderful large balcony. The size of the complex also means it's not too crowded and you can enjoy the relaxing amenities, such as pools and lazy river. Thanks again for taking a minute to share your positive opinion. We are glad to be a part of making family beach memories and hope to hear from you again. So glad that you and the family enjoyed this condo. The owner of this South Shore condo has created a dreamy coastal escape with all the bells and whistles for their guests. It's the perfect end unit with views for miles so hope the beach fireworks were extra special this year. The South Shore Villas complex is a top notch winner too. Smaller complexes make for a better stay sometimes with a little less crowding around the pools and elevators, not to mention better parking. We appreciate that your chose to stay with us and look forward to hearing from you again. This was our first family vacation since 2012 with our 2 daughters ,their husbands a 7 year old and a 2 year old. We rented a 4 bdrm., 3 bath condo which was perfect. It had a b eautiful beach view and access. The adults loved the beach but the boys loved the pool. The location of the property was close to many restaurants and shopping. I cannot say enough good things about this vacation. I would definitely stay there again. The property management was very professional and answered all questions in a timely manner. Well thank you for those kind and positive words. This owner tries very hard to make sure their guest are happy and comfortable. The property itself is absolutely wonderful and the location is perfect as you noticed, so hopefully you will be back next summer to enjoy everything our great little beach town has to offer. We really enjoyed our stay. We had two families with seven children ages 4-14 an space was not a problem. 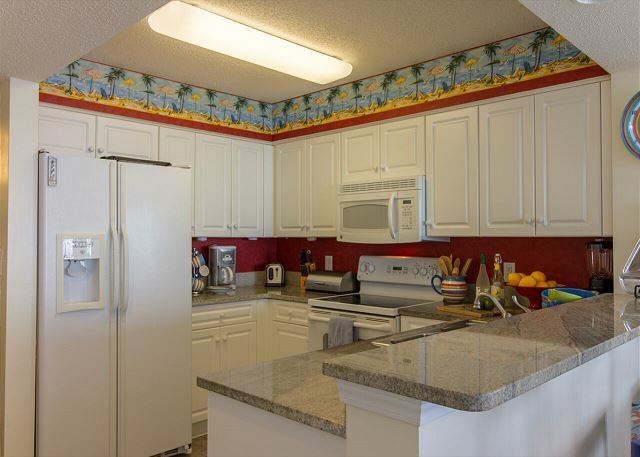 Condo is well maintained with everything you'll need for a great vacation. 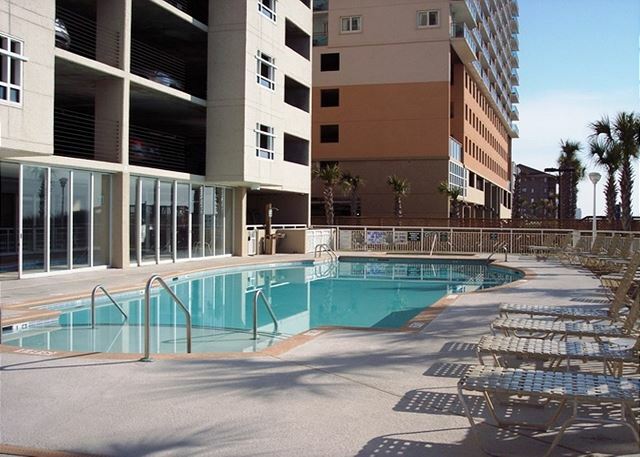 Far enough from the hustle and bustle of Myrtle Beach, but close enough to get to any of the wonderful attractions. Pools are maintained every morning and beach is very close. Thank you for the kind review. We are always glad to hear when we get things right and make our guests' stay even that much more special!!!! 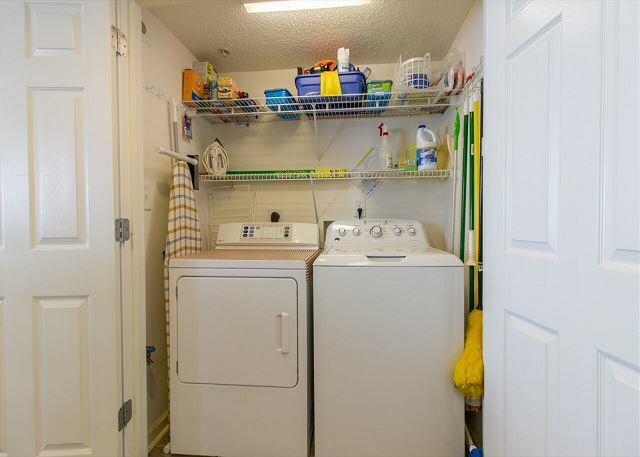 ODVR and the owner of this condo have set a high standard for keeping our properties in tip-top shape and we are just a phone call away if you were to need something during your stay. 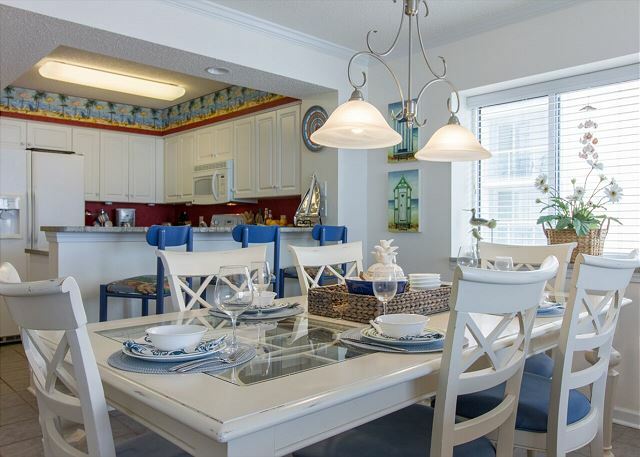 The South Shore Villas complex is an ocean front gem and just a few blocks to enjoy downtown North Myrtle Beach, BareFoot Landing Resort and all of the great entertainment and restaurant points in between. We appreciate that you chose to stay with us this summer and hope to see you again. Thank you for taking the time to complete our review and thank you for staying with us. 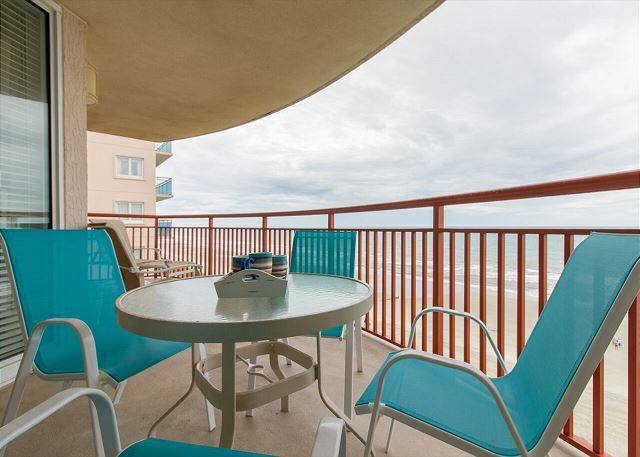 South Shore Villas #701 is a great place to just hang out, watch the waves and let the rest of the world go by. As I said before thank you for staying with us at ODVR and we hope to see you again next time. We are so happy to hear that you had an EXCELLENT Stay. 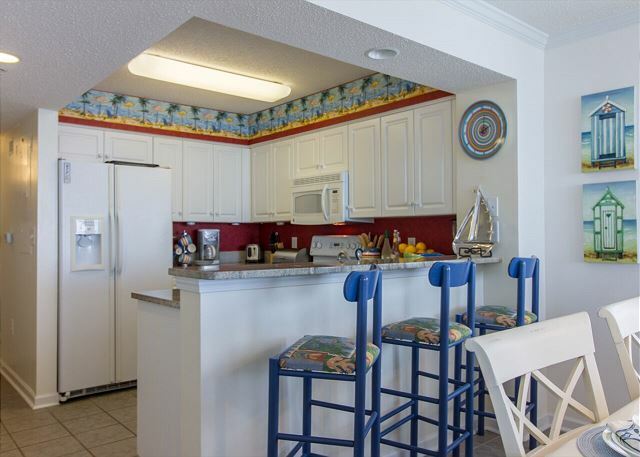 South Shore Villas #701 is a terrific unit, Beautiful Ocean front Condo is located in Crescent Beach, with 4 Bedrooms and 3 full Baths. 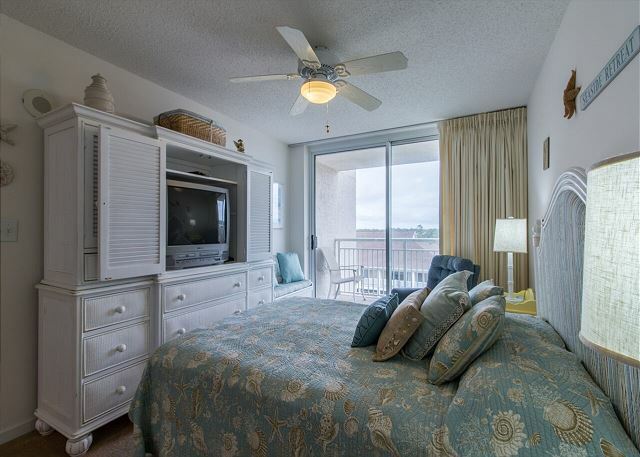 South Shore Villas #701 is the perfect condo, equipped with all of the comforts of home! The property has an indoor pool, lazy river, outdoor hot tub and pool, charcoal grill and a and gym. what more could you need. Thank you again for staying with us and for taking the time to complete the survey, please come and join us again. We had 2 families, with 11 people staying in 701. The condo was clean and decorated nicely. It had everything we needed and plenty of room. We loved how close it was to the beach and spent a lot of time on the balcony. Covered parking was great also. We at Owner Direct Vacation Rentals are so happy that you enjoyed the condo! 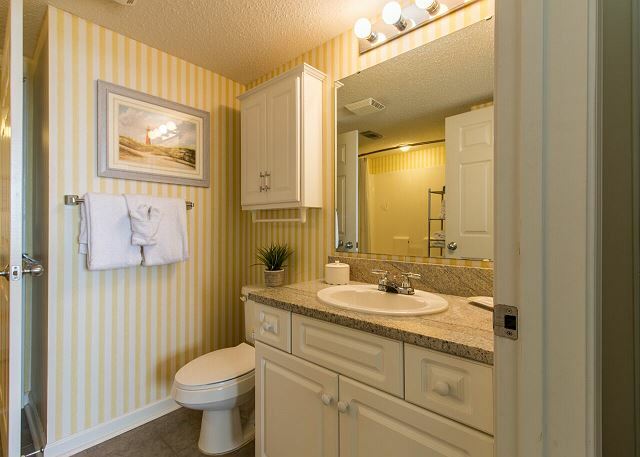 We strive for cleanliness and making sure our guest have everything they need. South Shore Villas is such a great place to stay with the pool, lazy and hot tub to enjoy when not relaxing on the beach. 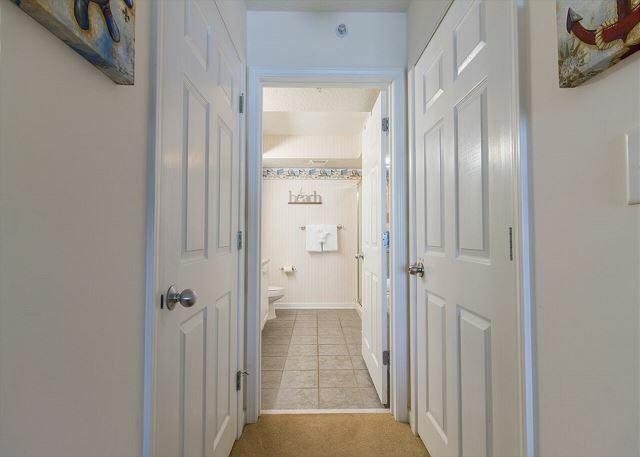 The condo is also in a great location; close to dining, shopping & attractions. 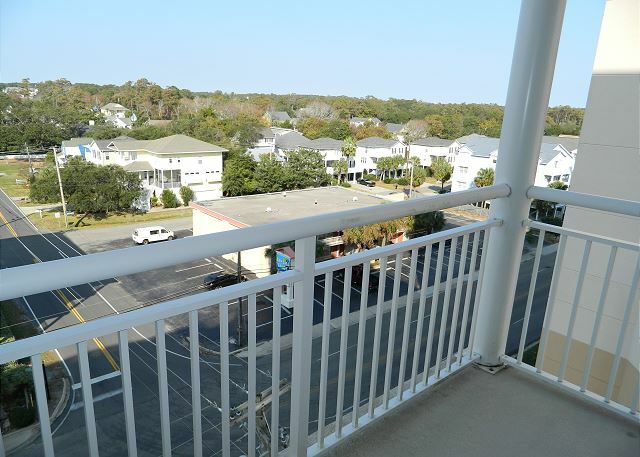 The views of the Alantic Ocean are spectacular from this 7th floor balcony. 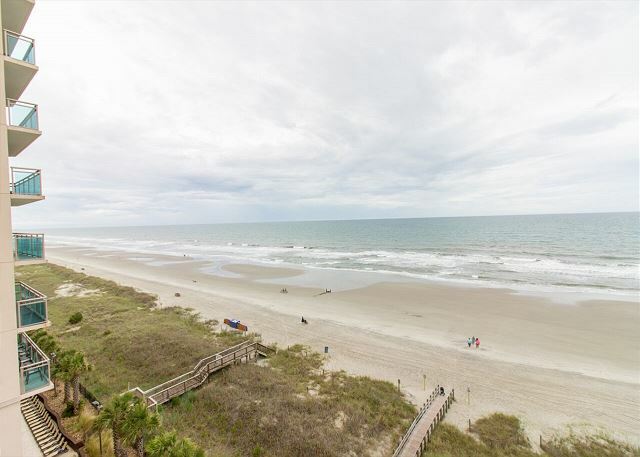 Thank you so much for staying with us and please give us a call when you are ready to book your next North Myrtle Beach vacation. our family enjoyed every moment and can not wait to return. The condo had everything you could want or need and the views were out of this world. Perfect Scores, Thank You. South Shore Villas #701 is a terrific condo, this owner takes great pride in their property and they have thought of everything so you would have the comforts of home! This property has an indoor pool, lazy river, outdoor hot tub and pool, charcoal grill and a and gym, what more could you need. Thank you again for staying with us and please come and join us again. We had an a wonderful time at South Shores Villas 701. We have stayed at many VRBO condo's and houses and I must say this is the best! 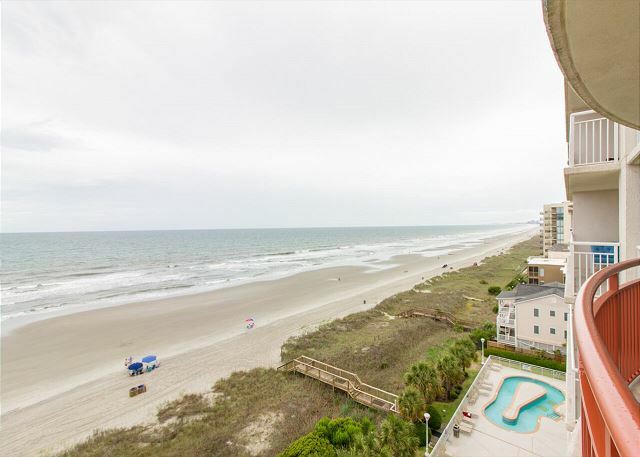 The location is ideal if you want to be away from the crowded strip on Myrtle Beach. There wasn't a lot of traffic. There was no noise from vehicles or crowds even during the day. You are still a 10-15 drive from all the main attractions in the area. The view of the ocean is spectacular! There are floor to ceiling windows in the living area and master bedroom. My mom is on oxygen and isn't able to go out on the beach. She spent a lot of time on the balcony where she could watch the kids play. The furniture was upscale and very comfortable. 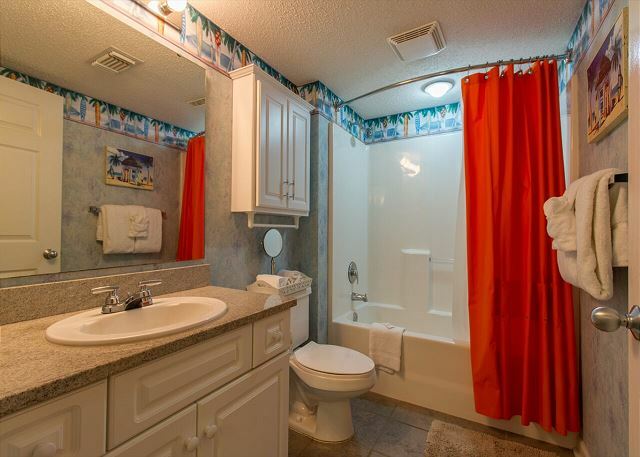 The condo had almost every amenity you could ask for except a hair dryer. It wasn't that big of a deal as I had brought my own but that is literally the only thing that was missing! There was even spices in the cabinet! There is a security guard on property at all times and he was very helpful with any questions we had. My only recommendation for improvement would be an upgrade of the bedroom TV's in the Master bedroom and street side bedroom. Other than the bedroom TV's the amenities are above and beyond. The only complaint that I have is the cleanliness of the condo. It needed a deep cleaning. The picture frames and ceiling fans were covered in dust. I had to clean the ceiling fans in the bedrooms before we could use them. The master bathtub also needed to be cleaned before use. I understand a deep cleaning cannot be done on a weekly basis but maybe biweekly or once monthly? The overall condition of the condo is excellent. 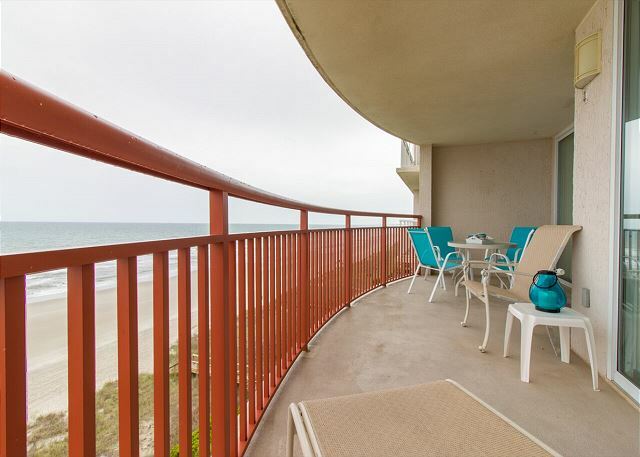 I will definitely like to stay in this condo on my next visit to North Myrtle Beach. We are so happy that we (ODVR) could welcome you to your home away from home! 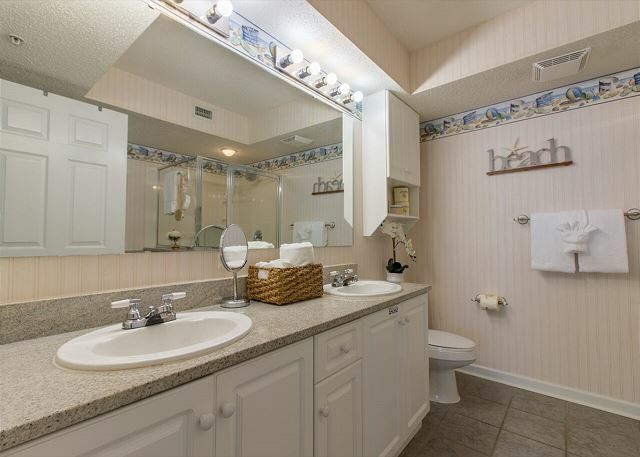 This is the perfect condo that has it all, it is equipped with all of the comforts of home! The property has an indoor heated pool, lazy river, outdoor hot tub and pool, charcoal grill and a and gym. We are so happy that you and your family enjoyed it Penny, and we hope to see you soon. Sincerely your Owner Vacation Rental team. The rental unit was very nice and was well stocked with everything one might need in the kitchen. The balcony was a nice view on the corner. The only difficulty was checking out before the office was open and there was not clear instructions on where to leave the keys. It all worked out and the managers were very helpful when we called.